If cleanliness is next to Godliness, then fruit purees are right up there in the holy Trinity. So sayeth the brewer. A aseptic batch of fruit means a clean-tasting brew that has been aged on that fruit as many brewers can attest to as the explosion of fruited beers continues to swell. Making sure that fruit used in the secondary doesn’t lead to off-flavors, which means a bad batch and a loss of profit, is vital to any brewery working with such an adjunct. 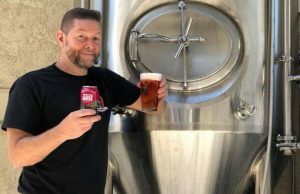 “We have good suppliers with consistent product sent in aseptic containers and when we use it, we use it all leaving very little room for error,” said Atwater brewer Brad Etheridge who created Whango, an extremely popular Mango Wheat summer seasonal, as well and the early development of Going Steady, a Grapefruit Session IPA. Both fruits are sourced out of state while the Michigan brewery works locally for its cherry beers, Traverse City Cherry Wheat and Lip Lock Cherry Stout. 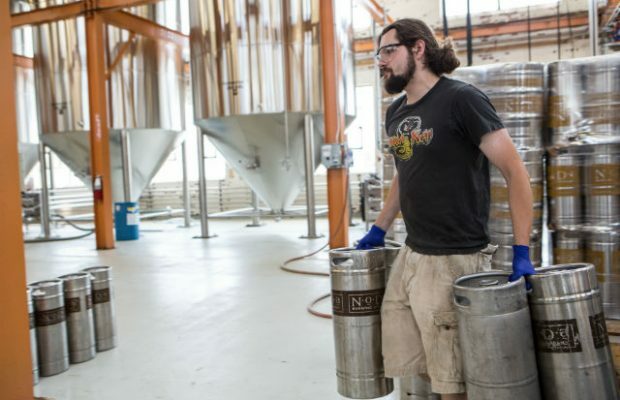 Those beers have been in the brewery’s repertoire the longest and came from the idea of using something Michigan is well known for along with combining it with the brewery’s own product to showcase what the state has to offer. Whango has puree added after fermentation, Going Steady is boiled with grapefruit, and the cherry beers have cherry puree added in the whirlpool along with fermenting with the fruit. “Cherry was [created] before my time, but I feel it made the most sense both for its massive flavor contribution and the fact it could be sourced pretty close to home and straight from the source,” Etheridge said. Mango and Grapefruit were both deliberate decisions when it came to deciding what fruit to use and what style to make. Mango was surprisingly easy to find from a local supplier and Atwater was already doing business with so Ethridge’s search stopped there. Grapefruit on the other hand was actually quite difficult. 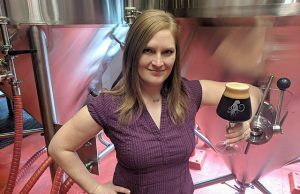 In Texas, Saint Arnold makes a year-round beer that uses raspberry purée and Aaron Inkrott, the Brewing Operations Manager, said the brew team needs to make sure it is a shelf stable product. “For the larger scale releases, it’s good to know that the fruit we are using is always consistent. While I do enjoy playing with local, raw fruit, it’s nice to have a source that is reliable,” he said, noting that quality checks are pretty low, other than ensuring the fruit isn’t rotten. Any knowledge gained through experience can only better a brewery with each new beer made. In using a puree, utilization isn’t too big of an issue since it mixes well with beer and restarts fermentation which causes a natural stirring effect. Roberts also said when using less processed fruit or puree, some manual stirring, agitation, or “punch downs” can be necessary to encourage contact with the beer. Pectic enzyme can help to get a little more utilization by breaking down the pectin in a fruit. Inkrott said extensive notes and data are collected throughout each new beer Saint Arnold does. Inkrott noted that the brewery is very comfortable in doing a large-scale batch of cherries, blackberries, raspberries, and peaches in secondary fermentation. 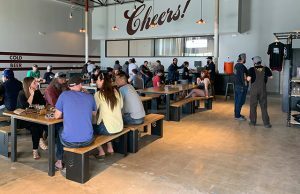 But with a new fruit, like mustang grapes that the brewery is experimenting with now, “ I prefer to keep on a smaller scale until we can taste the results,” he said. He also noted that a brewery will net more product if a fruit is puréed over whole fruit. In the grapes experiment, Inkrott said they decided instead of cutting them up to juice the grapes instead. “We were satisfied with that experiment,” he said. When Upslope Brewing was developing the recipe for its Belgian Blonde with Guava, they brewed a naked base beer and experimented with 30-plus fruit and fruit products to see what flavors matched up well. “The Guava puree was an instant hit,” said Head Brewer Sam Scruby, “there’s something magical about the Belgian yeast esters mixing with fullness of guava. We definitely made an effort to optimize how much puree to use — more puree does not equal a better product. Scruby added that most of this experimentation was conducted on a smaller scale, often just pipetting beer and fruit ratios to see what tasted best. Most bulk fruit puree is aseptic and can be added to beer without worry of contaminating product. Bart Roberts, the Lead Brewer for NoDa Brewing, noted that sulfites can be used to battle against any unwanted contaminants when using fresh or whole fruit. Many mid-sized and larger breweries tend to go the puree route just because of ease of use, but sourcing those products can take time. “We don’t have a complete test kitchen, so we haven’t explored much of the cost benefits of DIY puree,” Scruby said. 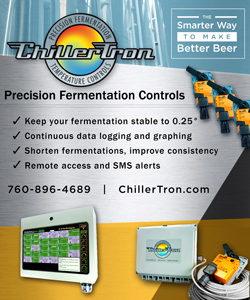 “In regard to our production beers, I would be concerned with wild yeast and Lactobacillus contamination if we were to process whole fruit. There is always opportunity to stay local, but that can also mean adding man hours to the creation of a product. Roberts added that if NoDa is buying whole fruit for a batch, they do it to support a local business or if they are looking for something very specific. “We have purchased over 1,000 pounds of Satsuma oranges from Louisiana,” he said. “Finding a pureed version of this orange would be nearly impossible. The mango for Whango was the only fruit that gave Atwater any issue Etheridge said. “My initial batch was made with fruit added post-fermentation,” he explained. “There was obvious concern for packaged product so we tried manipulating the recipe and adding fruit while the beer was still cooking. Cherry and Grapefruit on the hot side scorches anything that may have had an opportunity to grow — which is highly unlikely — and the mango runs through a pasteurizer before packaging. 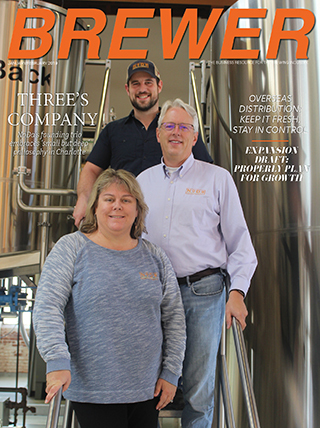 “In the end the first attempt was the right attempt and we purchased a flash pasteurizer to make the beer the right way,” Ethridge said. For the Grapefruit Session IPA, he had done something of the sort several years prior as a home brewer although at a much higher gravity. “At that point I didn’t know a whole lot about the process and I was adding everything to the boil. That old home brew was one that people really seemed to like so I revisited my old notes and put a new spin on a proven method,” he said.